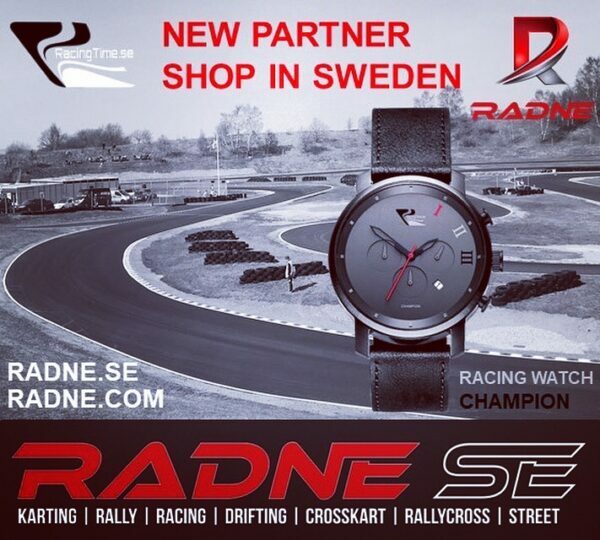 We are delighted to have legendary karting brand and racingshop www.radne.se as retail partner. With nearly 60 years of racing experience and dedicated staff they will be a great shop for us. Radne Motor AB was founded in 1960 and started to build karting motors named Raket, they still produce this popular range of motors. Later they also started to sell various karting and racing related products. Radne Motor has a passion for racing just like RacingTime Sweden. Thanks to Mr Stefan Radne to believe in us, we look forward to the coorperation!